Where have all the romance readers gone? When does respect of creativity matter? Last August we met Ellie and Mr. I.T. in the wonderful place known as Kupid's Cove. We laughed with them, rolled our eyes at them, cheered for them, cried for them, feared for them, and in the end, rejoiced with them. Now, a little less than a year later, everyone gets to find out the story of the third member of the 'Terrific Trio', Leilani Iona. As the new general manager of Kupid's Arrow Resort, Lei has been hiding in plain sight, but her world is crumbling around her ears. She has no idea the handsome stranger drinking the coconut snowballs was hired by her boss to keep her safe. What ensues is a story of trust, more than anything. When you've lost everything in your world, how do you teach yourself to believe there is still good in the world? Lei is about to find out. 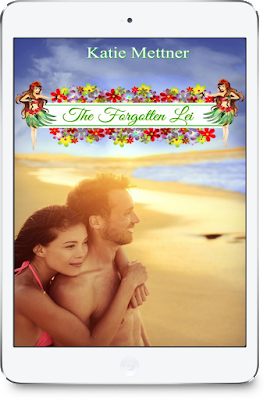 Today I release the cover and the preorder link for The Forgotten Lei! I hope you enjoy the excerpt and the cover and are ready to start the next story of Kupid's Cove. 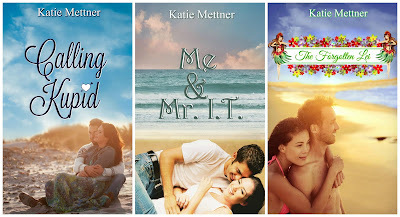 Kate & Gideon and Ellie & Mr. I.T. are part of the story, of course, and you'll enjoy seeing old favorites while you fall in love with new heroes. Hiding in plain sight on the beautiful island of Maui, Leilani Iona knows her days are numbered. The past has caught up with her and she’ll pay with her life. Niko Nikolaev has a complicated relationship with Maui, and his newly widowed mother. Drawn in by Lei’s exotic beauty, Niko struggles to separate the man in him from the job at hand, finding the men responsible for her torment. Lei knows her determination and will-to-live won’t be enough to get out of this deadly mess, and when bullets start flying she must rely on a man she barely knows. As Lei and Niko struggle to stay alive, she learns love runs deeper than blood, heroes exist, and Cupid’s arrow always finds its mark. I wrapped my arms around my chest for warmth, the cool breeze raising goosebumps on my skin. I didn’t know if the nightmare was becoming more frequent because of the upcoming hula festival this weekend or because the date of my ultimate demise quietly crept along with each passing day. If anyone looked at my calendar they would see a red X on my assumed date with destiny. I didn’t know which would be worse, living through the hula festival only to meet my demise a few weeks later, or dying of sheer terror during the hula festival. Either way, I felt as if the Grim Reaper was coming to claim my soul. He’ll be disappointed. My soul was claimed years ago, by someone far deadlier than the Grim Reaper. I would willingly go with Mr. Reaper to avoid the others who would one day rear their ugly heads when I least expect it. There’s no changing my fate. I’ve known it since a dark, starless night eight years ago when the life I knew no longer existed. I could tell you the exact date down to the minute, but I won’t. There are things I don’t talk about because if I do, I may never stop crying. I lowered myself to the sand and lifted my toes to the sky, so I could lean forward and grasp them, the position making me look as small and insignificant as people believe me to be. When they look at me they see a tiny dancer, a weak and insignificant woman child who loves everyone, but can accept no love in return. They’re right about the last part, but I’m far stronger than anyone suspects. I must be to get up each morning as though anything I did mattered. It doesn’t matter. In a matter of weeks I’ll be dead, and like thousands of other souls in the same boat, I’ll be only a memory. The stars twinkled above me and the waves rolled toward me, but short of allowing myself to be carried out to sea, no one could stop what was coming for me. The way the nightmare infiltrates my dreams every night makes it perfectly clear. The bright flowers, the music of the islands blaring from the speakers, the feel of the grass skirt brushing my legs. I could sense them all as though no time had passed, but then the sun begins to set as if a video were being fast-forwarded until the day and the dream turns dark. I never make it past standing on the stage in the dark trying to make out the dark figures at the edge of the beach. The next thing I know I’m sitting straight up in bed, my sheets soaked with sweat, my breathing heavy, and any hope of peaceful sleep gone. When sleep no longer comes, I walk. I think and I walk. I pray and I walk. I hope if the Grim Reaper is coming this is where he finds me. In a place which feels like heaven even in the midst of my private hell. My name is Leilani Iona and this may well be my last will and testament. Katie lives with her soulmate, whom she met online at Thanksgiving and married in April. Almost seventeen years later her love story is a true case of instalove. She and her husband share their lives with their three children, and one very special leopard gecko. 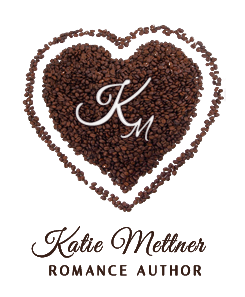 When not busy being a band mom, Katie has a slight addiction to Twitter and blogging, with a lessening aversion to Pinterest now that she quit trying to make the things she pinned.